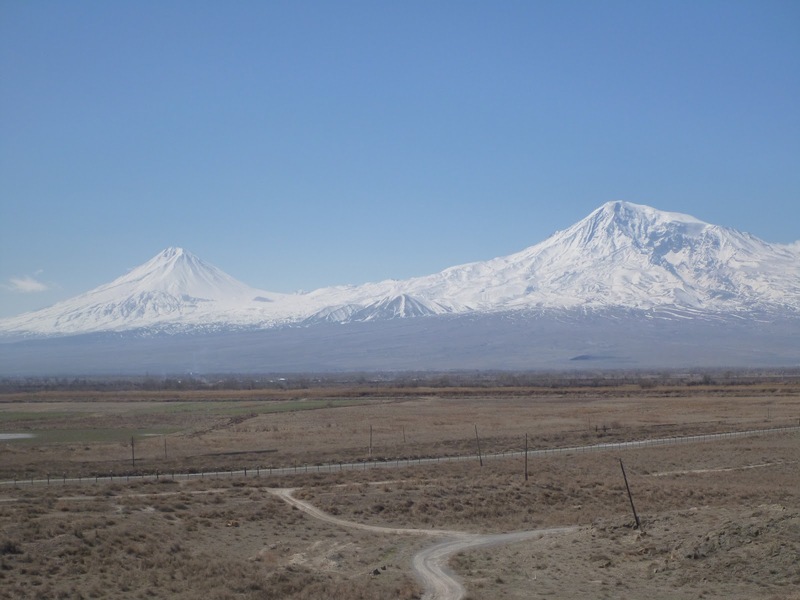 Spending one week at Caucasus and visiting Georgia and Armenia was booked at the end of March. 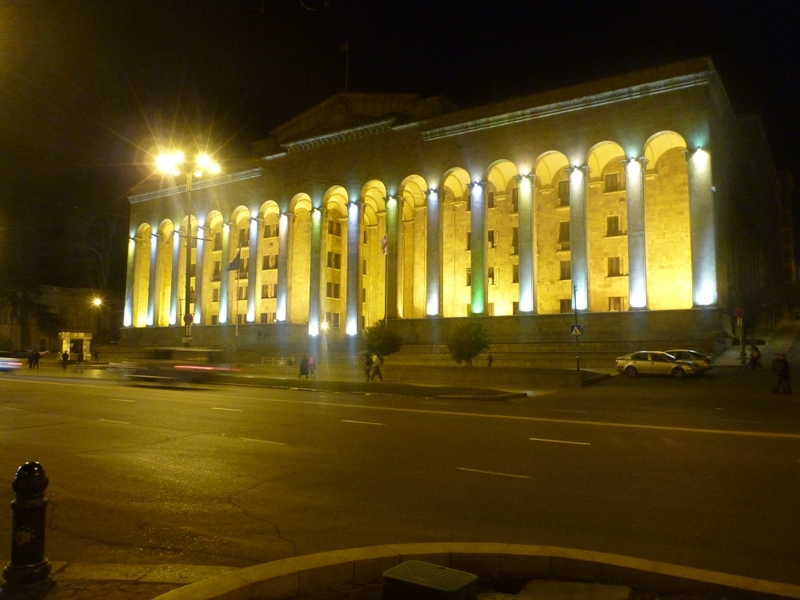 I was flying with AirBaltic via Riga to Tbilisi and spent first couple of days in the capital of Georgia. The whole city is full of construction, when old houses are replaced with newer ones and pavements are repaired. 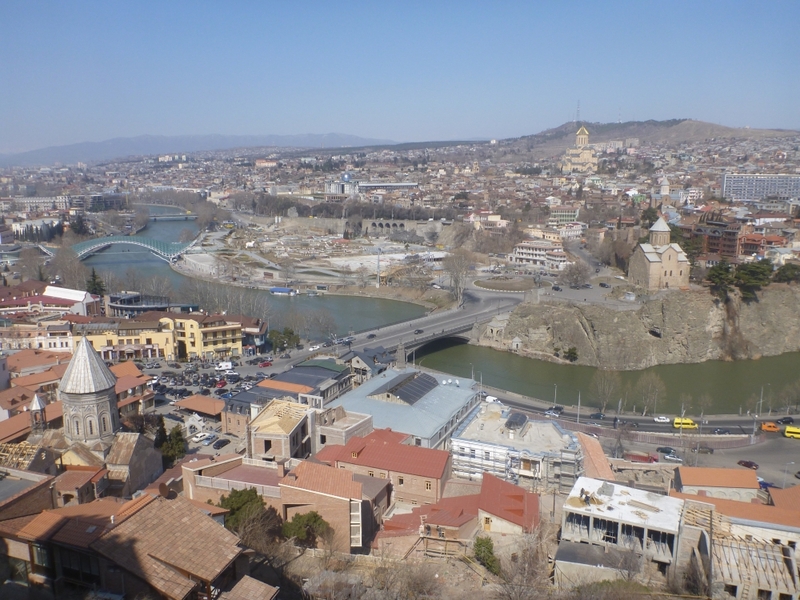 Tbilisi is located in the valley surrounded by Caucasus mountains and therefore there were strong wind blowing through the valley at that time. Temperatures were just above zero and in sunset even +15. It was quite chilly though, springtime is just to begin here. 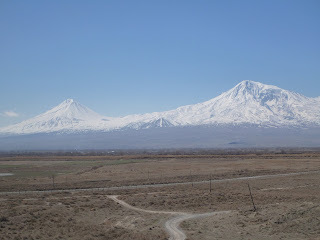 The bus ride from Tbilisi to Jerevan, which is capital of Armenia took 5 hours and we had to cross Caucasus mountain range. The road went up to 2 km altitude and there were half meter snow next to the road. 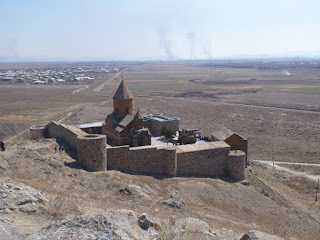 The bus arrived at Jerevan though safely. 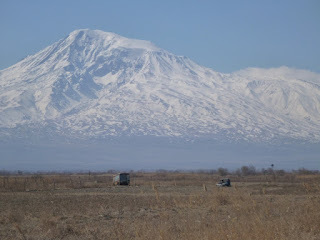 Jerevan is located close to Mt. 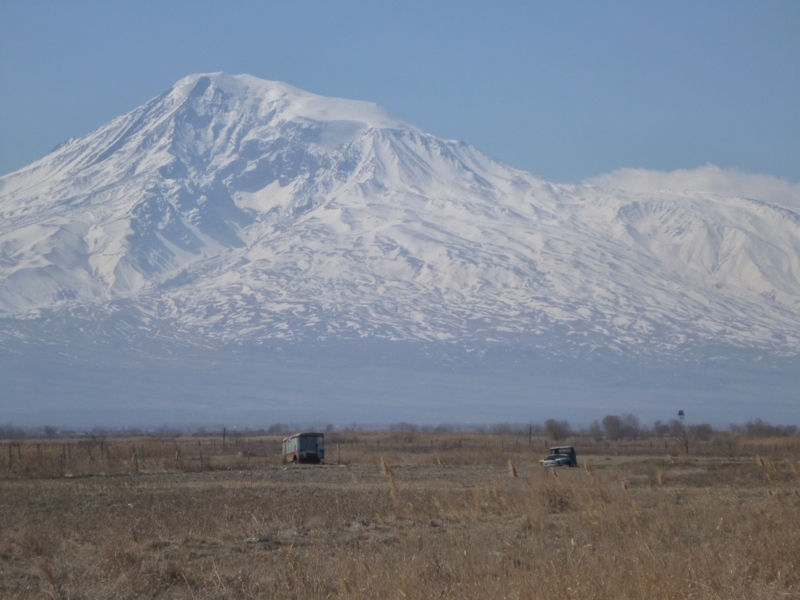 Ararat and is really nice modern city. 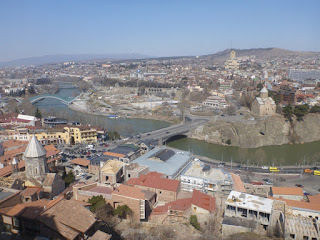 The temperature is bit lower than Tbilisi, because city itself is a bit higher appr. at 1 km. Armenia was the first country to have Christian as a state religion and Khor Virap was the place where all that started.